Quaid E Azam University Islamabad Jobs 2018 is announced. 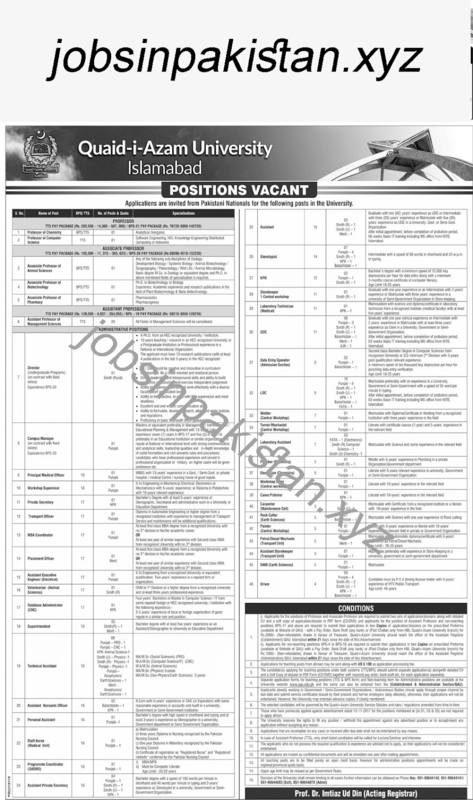 The advertisement for Quaid E Azam University Islamabad Jobs 2018 is come on today newspaper Jung. Quaid E Azam University in one of the biggest universities in Islamabad and Pakistan. Applications are invited from all over the Pakistan for Quaid E Azam University Islamabad Jobs 2018.